Bellababy Studio: Bellababy Studio at Chasers! 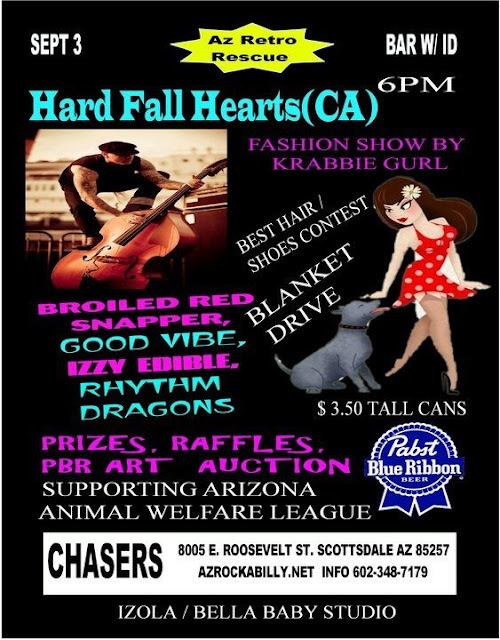 Come see Bellababy Studio Saturday, Sept.3rd (6pm) at Chasers in Scottsdale. Live Music & Fashion Show supporting the Arizona Animal Welfare League. Prizes, Raffles, $3.50 tall PBR and Auction! I'll be there with all my latest designs so bring plenty of cash! See ya there! HUGE end of Summer Clearance!